Lavallette may be one of the first towns in New Jersey to play host to a next-generation wireless network, however the proposal is facing some staunch opposition from a number of residents and some skeptical borough council members. On Thursday, Verizon Wireless, which is proposing to build the network, will host a seminar aimed at answering residents’ questions and addressing concerns. As Shorebeat has previously reported in more detail, a 5G wireless network is designed to replace both the existing cellular network as well as wired services like FiOS and cable. 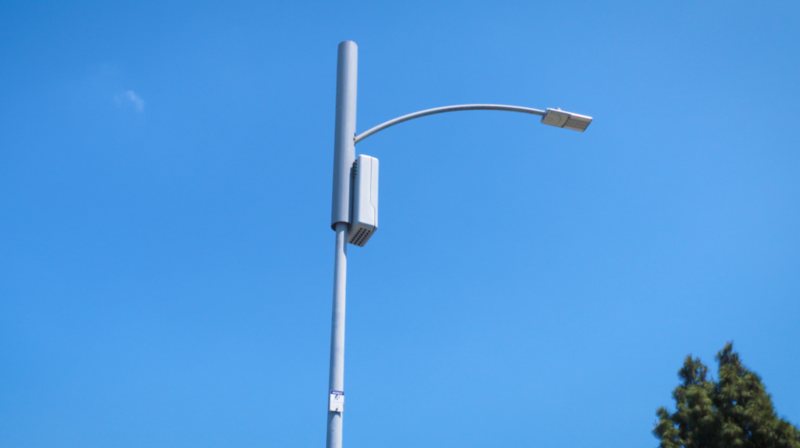 To accomplish that, a company would set up devices called “nodes” which resemble small cellular towers on top of utility poles, street lamps or monopoles that blend in with a neighborhood. The nodes are deployed throughout the community and can carry enough bandwidth to not only act as a cellular network, but provide video and ultra high-speed Internet data access. In Lavallette, Verizon has faced resistance from a few residents who have questioned the safety of the radio frequency emissions that the nodes put out as well as concerns over the aesthetic appearance of the devices. The borough has asked its legal counsel to consider whether the deployment of the network could be blocked by a court if officials decide to oppose it. Verizon representatives will host the information session Thursday at 5 p.m. at Lavallette Elementary School. Borough Administrator Robert Brice said the company will begin with an introductory presentation and then hold break-outs on topics including the technology behind the system, safety and legal issues. The symposium should last about two hours, he said.